Who really understands love? We can't see love or grab hold of it. We often don't know how to accept love, and we're most afraid of expressing it to others. 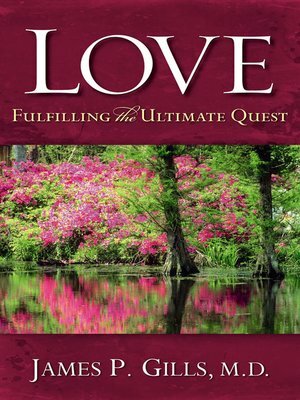 In this book, Dr. James P. Gills, husband and father, gives substance to love. He doesn't claim to have mastered the art of loving. He simply challenges you to join him in life's ultimate quest. Uncover the essential character of love and discover what real love is under God. Take an in-depth look at the five different types of love used—epithumia, eros, philia, storge, and agape—that summarize the dynamics of love. In addition to these five, Dr. Gills adds two more types of love selfishness and commitment. Each page includes famous and anonymous quotes about love to inspire you. At the end reference pages to Scriptures on love is provided for further study.